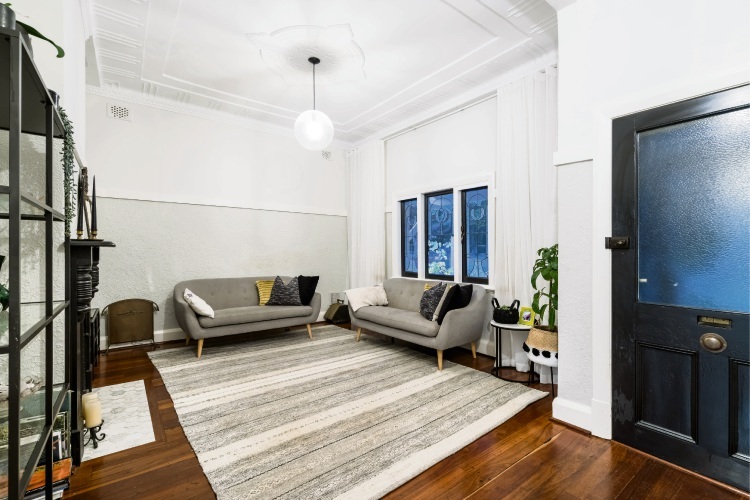 CHARACTER charm comes with a contemporary edge in this recently extended and renovated home on a 511sq m block. The original part of the home has high ceilings, leadlight windows and doors and timber flooring, and includes a living room with fireplace, two bedrooms with built-in robes and a study/fourth bedroom. It also includes the main bathroom with bath, shower and separate powder room. Steps lead down to a modern extension with the master bedroom with walk-in robe, large ensuite with double vanity unit and feature tiling, and doors to a private north-facing courtyard. The layout opens to a family/dining/kitchen area with tiled flooring and a gas fireplace. 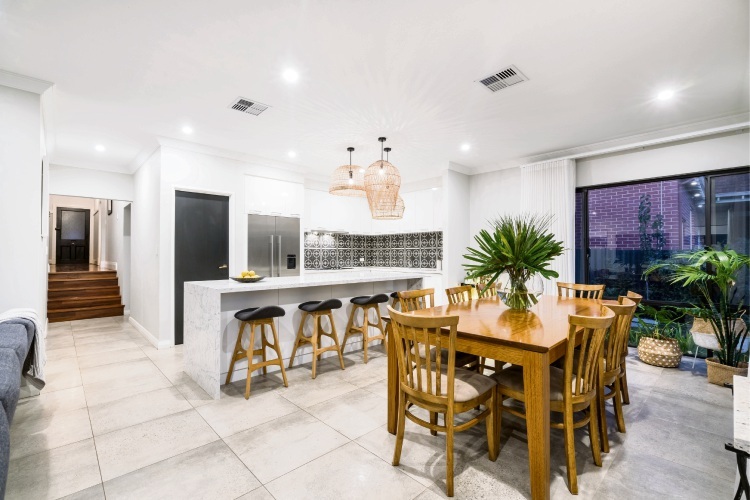 The kitchen has stone benchtops, Miele appliances, large pantry and an eye-catching splashback with patterned tiles. 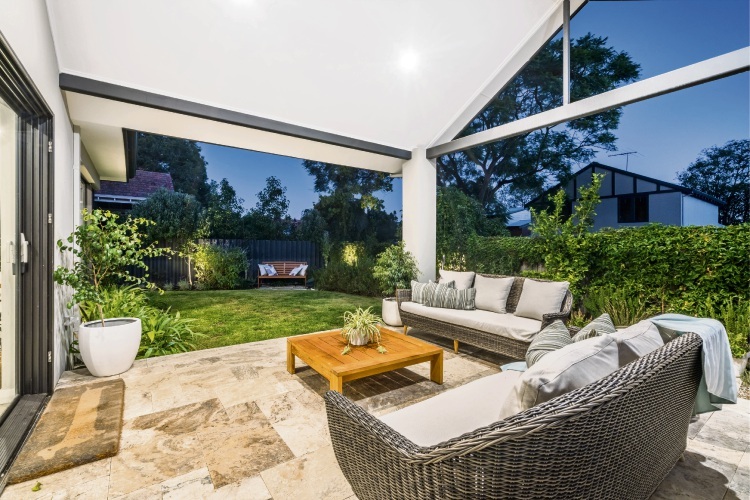 Doors open to a covered alfresco area and the landscaped backyard with lawn and lush garden beds. 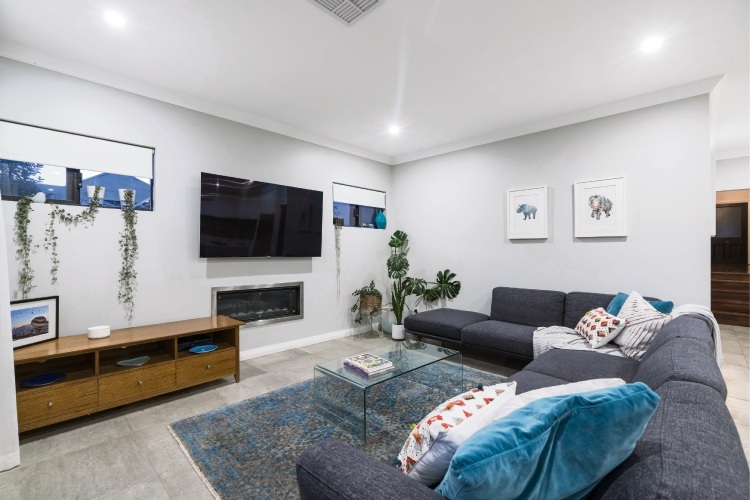 The property includes a single carport, additional parking for a second car and is in walking distance of Shenton Park’s attractions, including Onslow Road Village, Nicholson Road Village and Lake Jualbup. 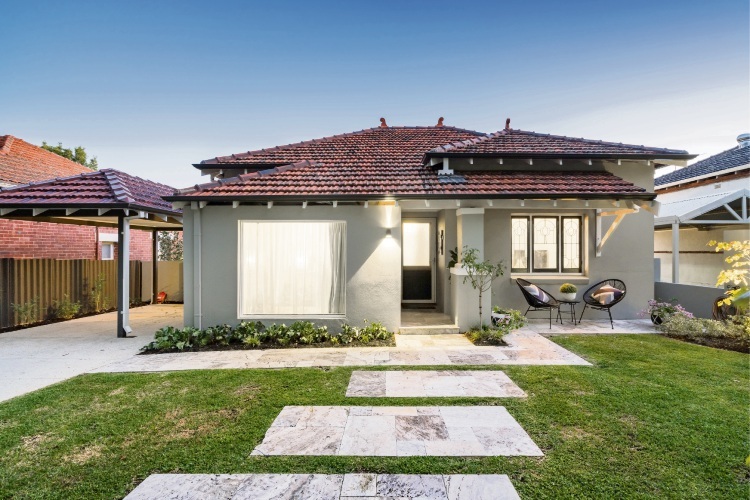 It is also close to Kings Park, public transport and medical facilities and is in the catchment areas for Rosalie Primary School and Shenton College.